Spring 2017 Opening Reception, Institute of Contemporary Art, University of Pennsylvania. Photo: Constance Mensh. The Institute of Contemporary Art’s simple but powerful slogan “Free. For all.” stands for more than just a lack of an admission fee. It reflects an access-oriented philosophy about what a contemporary art experience should be. ICA takes risks. It is a prescient incubator for emerging artists, and it turns up the volume of underrepresented voices. By presenting work that challenges viewers, ICA invites them to reconsider previously held opinions and promotes greater understanding of an unfamiliar perspective. The commitment to provoking deeper thought is central to ICA’s mission, and plans call for extending outreach throughout Penn’s campus and beyond. “Art should be public, inclusive and open to all,” says Maori Holmes, ICA’s first Director of Public Engagement. Opening its doors more widely, especially to those for whom exposure to contemporary art is new, is one of ICA’s top Campaign priorities. By reaching a wide range of audiences and offering opportunities for shared experiences that build community, ICA emphasizes Penn’s relevance in an increasingly stratified world. Over half of all Gather attendees have been first-time visitors, with a large turnout from the surrounding neighborhood. “We’ve seen a 34 percent increase in traffic since we began the Gather program,” says Holmes. “Attendees come up to us and tell us how much they enjoy and appreciate the program.” To date, ICA has held nearly a dozen of these events and plans to increase their number and frequency in the coming year. “Gather is our opportunity to be a good neighbor—to West Philadelphia first, then to all of the city,” says Holmes. Penn’s Institute of Contemporary Art (ICA) is internationally recognized for presenting work that amplifies the voices of artists who have not been heard. ICA is a non-collecting contemporary art museum, a rare kunsthalle. This frees our curators to explore the globe, uncovering original artists in media ranging from painting to performance. We present art that confronts visitors with new ideas, building the muscle to think differently, which is essential to a well-rounded Penn education. New, ambitious support will allow ICA to ensure the stability of our unique, curatorial vision, directly introducing more Penn students to contemporary art, and extending the impact of our exhibitions and scholarship by engaging the broader public. Join us! Your membership support helps ICA open our doors more widely, giving more people the opportunity to learn about the artists and art of our time! Members of all levels are invited to ICA’s special previews with artists and curators. * Gifts at this level qualify for the North American Reciprocal Museums (NARM) program. ** Gifts at this level qualify for the Modern and Contemporary Reciprocal Membership. *** Gifts at this level receive public acknowledgment in ICA’s lobby. Join ICA’s Donor Club and explore the world of contemporary art from curator-led exhibitions at renowned museums to intimate visits to artist’s studios and exclusive gatherings in homes of collectors. To give to the donor club, click here. Take part in a full calendar of opening receptions, special previews, artist-curator talks, interactive events and activities all year long. ICA is open until 8 PM Wednesdays! Our twice-annual FREE FOR ALL party includes art, music, performance, free food and takeaways like DIY terrariums, nail art, and photo booth snaps! At ICA, you will encounter the unexpected. Art has the power to question – to inspire – to heal. We are known for presenting work that amplifies the voices of artists who have not been heard and we are reaching out to an ever-widening group of people eager to learn. Consider a gift to ICA and help us open our doors more widely and make contemporary art accessible to everyone! 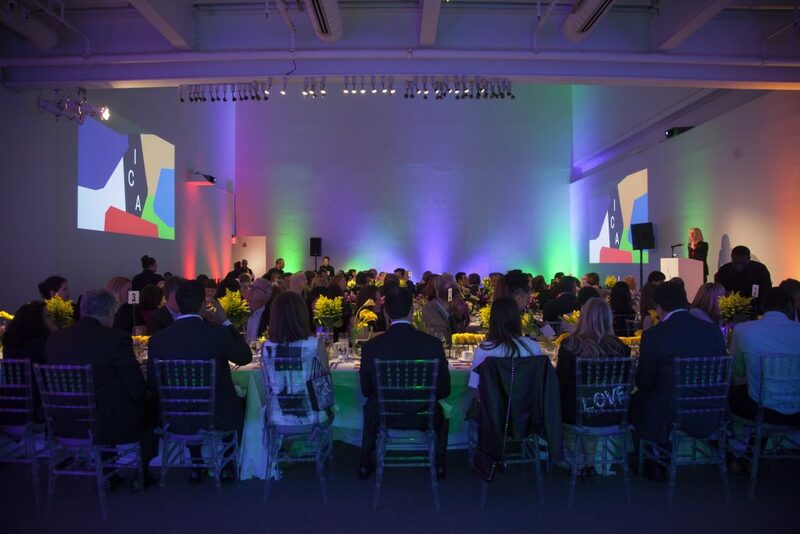 Join us at ICA’s annual benefit gala where we honor artists and other luminaries in the field of contemporary art while you mingle with other supporters of ICA and their guests! For more information about how to participate in ICA Benefit 2019, click here. Agnes Martin’s 1973 retrospective at ICA is credited for inspiring the artist to resume making art following a pause that lasted over five years. In appreciation of the exhibition, publication, and public lecture opportunities, Martin made a series of gifts to ICA’s endowment from 1975–1976. 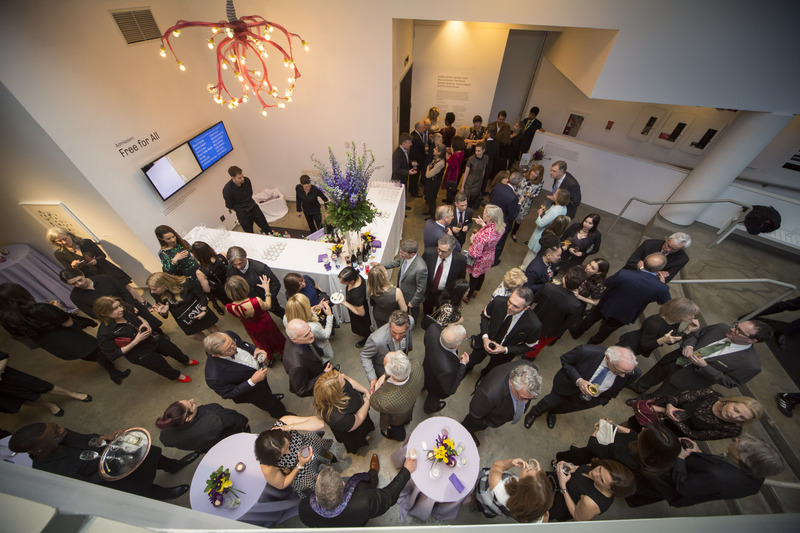 Now worth well over $1 million Martin’s visionary support enables exhibitions and programming at an institution dedicated to risk-taking in the service of art and artists. Membership in the Agnes Martin Legacy Circle acknowledges those whose foresight and generosity will ensure that the art of our time and its ability to expand and enliven understanding of the world will always be a part of students’ experiences at Penn. Notification of your gift enables ICA to confidently plan for its future— ensuring students and the greater community access to world-class contemporary art. Membership is extended to individuals who have provided for the Institute of Contemporary Art through a will or living trust, a retirement plan or life insurance policy, or a life income arrangement such as a Charitable Gift, Annuity or Charitable Remainder Trust. Your gift also entitles you to all the benefits of membership in the University’s Charles Custis Harrison Society. To become a member of ICA’s Agnes Martin Legacy Circle contact: Hilary Alger, Director of Development, ICA, 215-573-1045, halger@ica.upenn.edu or Lynn Malzone Ierardi, J.D. Director of Gift Planning, The University of Pennsylvania, 215-898-6171 or lierardi@upenn.edu. It is with great appreciation that ICA thanks all our supporters. Free Admission to ICA for the public is sponsored by the Amanda (C‘95) and Glenn (W‘87/WG‘88) Fuhrman Fund. Amy Sadao and Thomas E. Devaney, Jr.
Special thanks to the Provost’s Office of the University of Pennsylvania for support through a grant from the Interdisciplinary Arts Fund.